Can Portugal be a world-class team without Cristiano Ronaldo playing at the level he shows in Real Madrid? Maradona and Figo don't seem to believe in that and have recently stated that the Portuguese superstar needs to get more help from his teammates, in order to lead Portugal to victories in the upcoming games. Diego Armando Maradona and Luís Figo tried to analyze what went wrong for Portugal in last Saturday's 0-1 defeat against Germany and they both seem to agree that Cristiano Ronaldo is definitely not the one to blame. 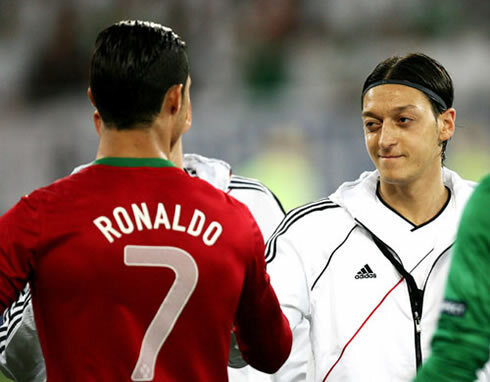 The former Real Madrid and Barcelona winger goes further and says that the Portuguese team needs to create more chances and space to Ronaldo. 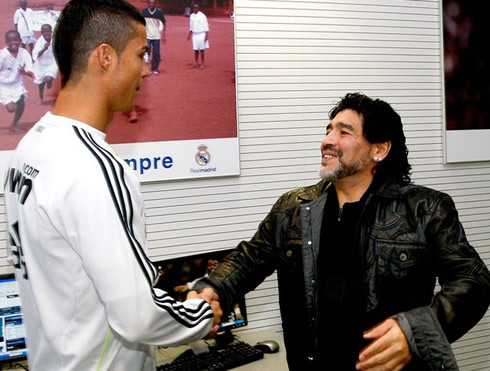 In the other hand, Maradona revealed his distrust in Portugal's aspirations to win the EURO 2012, as he sees no one capable of helping Ronaldo making the difference within the Portuguese team. The next chapter of this journey takes place this Wednesday, as Portugal takes on Denmark in what will be a vital and decisive game to decide who gets through to the quarter-finals in this European Championship. Maradona is currently coaching Al Wasl, but that naturally doesn't prevent him from following the EURO 2012 very closely. The Argentinian legend has referred to Portugal as being almost a 1-man team and said that even counting with the best player in the World playing for them, their chances to pull off good results in such kind of a tournament are very narrow at this stage. Maradona: "First of all, we have to bear in mind that Portugal was forced to go through a playoff round to book their presence in this EURO 2012. They were even booed when they played at home against Turkey (1-3 loss) and all this happens despite having the best player of the World in the team! ", started by pointing out 'El Pibe', when alluding to the fact of having Cristiano Ronaldo in the squad not being enough for the Portuguese team to stand out both before and already during the EURO 2012. As for the 39-years old Portuguese iconic player, Luís Figo, the analysis wasn't quite far from Maradona's view. Figo came to Lisbon in order to attend the Volvo Ocean Race event and was obviously asked to share his insights about the recent match against Germany, as well as what's missing in Ronaldo's game that could somehow explain why he doesn't have similar performances as he has in Real Madrid. Luís Figo: "In my opinion, the Portuguese team needs to work more to provide Cristiano Ronaldo with more chances to make the difference and have a good performance. When we look at Ronaldo, we know that he's best at finishing plays and scoring goals, so basically, if the team can't produce a quality game and opportunities, that will necessarily reflect on his performances", remarked the former Barcelona and Portugal captain. Figo: "Portugal really needs to improve in order to get through to the EURO 2012 quarter-finals... We clearly failed to take our goalscoring chances against Germany and we'll have to be more efficient in the upcoming games. We simply don't have any more room and time for mistakes. 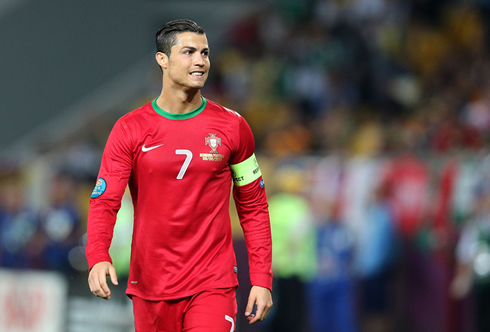 The next two games against Denmark and Holland have to be seen as 'must-win' matches", stated the Portuguese idol. Real Madrid's season is now over and there are no games left in their schedule until the pre-seasons starts by July. Cristiano Ronaldo is now with the Portuguese Team, in the EURO 2012, and the next game will be against Denmark, next Wednesday (June 13). You can watch Juventus live stream, Portugal vs Denmark, Greece vs Czech Republic, Netherlands vs Germany and Poland vs Russia, all from our football live streams section. 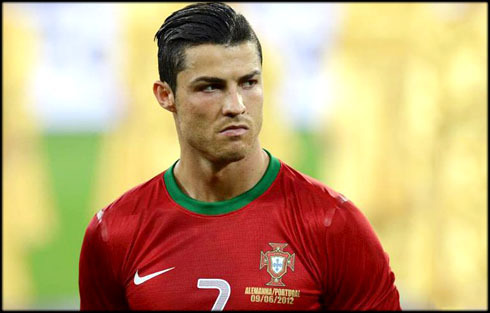 Cristiano Ronaldo will certainly be on the line-up, when Portugal faces Denmark for the EURO 2012.